Open House June 9th, from 1 - 4pm. QUICK Delivery - Available Immediately - Furnished! Experience Swimming Pool and Bay View condos and Ocean Views from the rooftop plaza. This Model offers an open floor plan, insulated doors and windows, granite countertops and a standard appliance package. Upgrades available. Enjoy your own private balcony on the Southside overlooking the rooftop pool. Immerse yourself in a resort lifestyle. Relax by the indoor saltwater pool (fee), enjoy the fitness center (fee), and the Plaza Courtyard featuring a fire pit, grilling area, water fountain, multiple sitting and lounging areas. Direct Access to Bay Front amenities including Kayak, Stand-Up Paddle, Jet Ski & Boat Rentals, reduced slip fee rentals at adjacent Rehoboth Bay Marina. Pictures are reflective of a previous model! 1301 Coastal Highway #353, Dewey Beach, DE 19971 (MLS# 1001566178) is a Condo property that was sold at $549,000 on August 24, 2018. 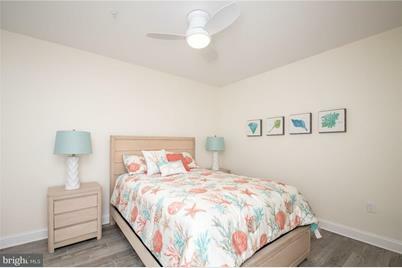 Want to learn more about 1301 Coastal Highway #353? Do you have questions about finding other Condo real estate for sale in Dewey Beach? You can browse all Dewey Beach real estate or contact a Coldwell Banker agent to request more information.